In Japan, Cherry blossom is about to be full bloom now. My sister said now is fifty-percent bloom(五分咲き,gobuzaki) in Tokyo. 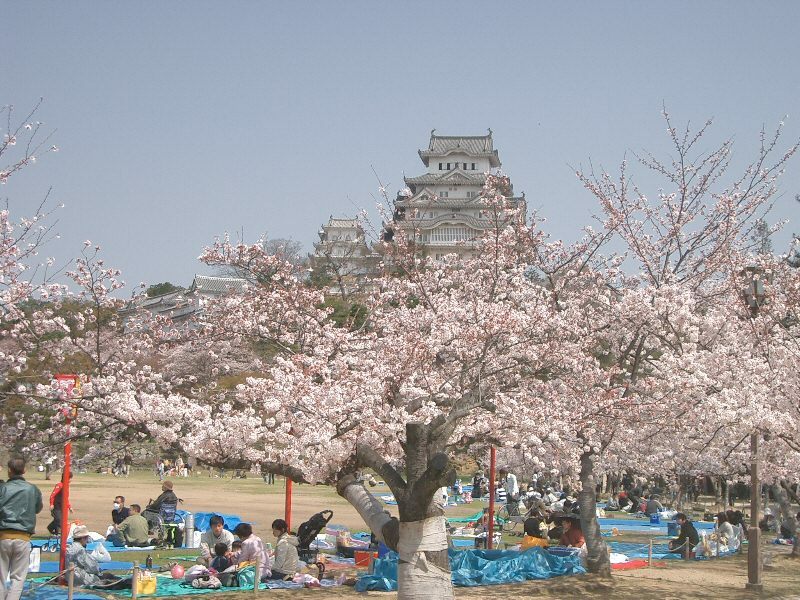 Japanese like cherry blossom and hold cherry blossom viewing under the trees this season. During March and April, many Japanese go out to view the cherry blossom under the tree. The best timing is in full bloom! We spread mats on the ground, bring foods and beverages and have parties with family, friends and coworkers in office. The tree keeps blooming for one or two weeks only. It’s very short and beautiful in full bloom; therefore, cherry blossoms are often used as an example of human fragile life. What we do actually under trees are chatting, eating and drinking. Drunken viewer and scattered trashes after viewing are often reported in the news in this season. Keeping clean and good manner, viewers! 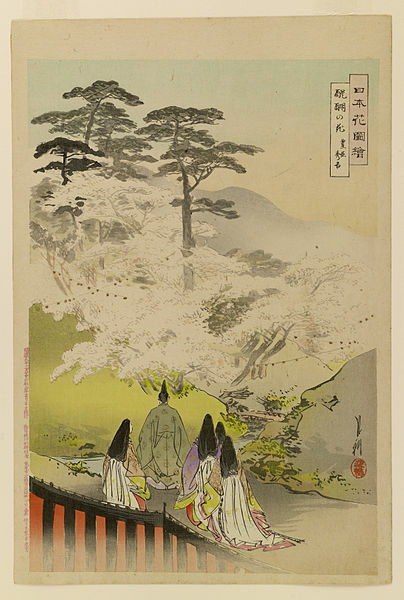 There are some hypotheses about origin of cherry blossom viewing. Some says its origin is tracked back to Nara Period, which is about 1,300 years ago. At that time, only noble people held viewing not cheery blossoms but plums. After that many cheery blossoms were planted in their gardens. 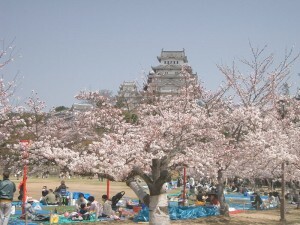 Then noble people started event which they made poems (Tanka) and present their poems each other under the cherry blossoms. Very nice event! 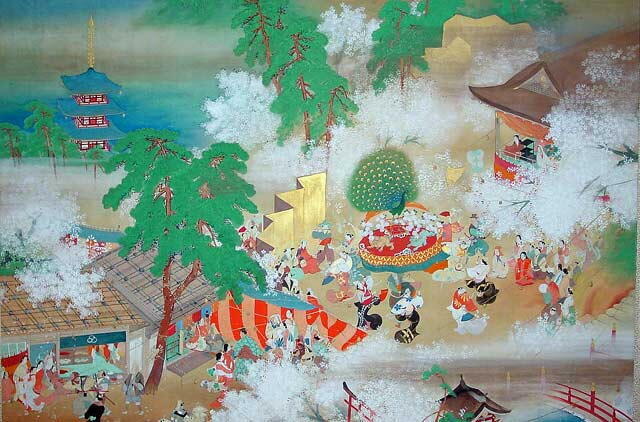 It is said that the biggest cherry blossom viewing party was that held by Toyotomi Hideyoshi(豊臣秀吉), who is preeminent daimyo, warrior, general, samurai, and politician of the Sengoku period who is regarded as Japan’s second “great unifier, in Kyoto on April 20, 1592. Almost one month later than now. Maybe because of global warming? He invited about 1,300 guests and planted 700 cherry blossoms for this event! He gave new clothes to female guests and requested them to change clothes twice in the event. It is said he spent about USD 35M for making new clothes to female guests. He had lots of gold and was very generous to show his power to people in Japan. These are paintings written after this big cherry blossom viewing. Now we just enjoy spending time with family, friends and coworkers. 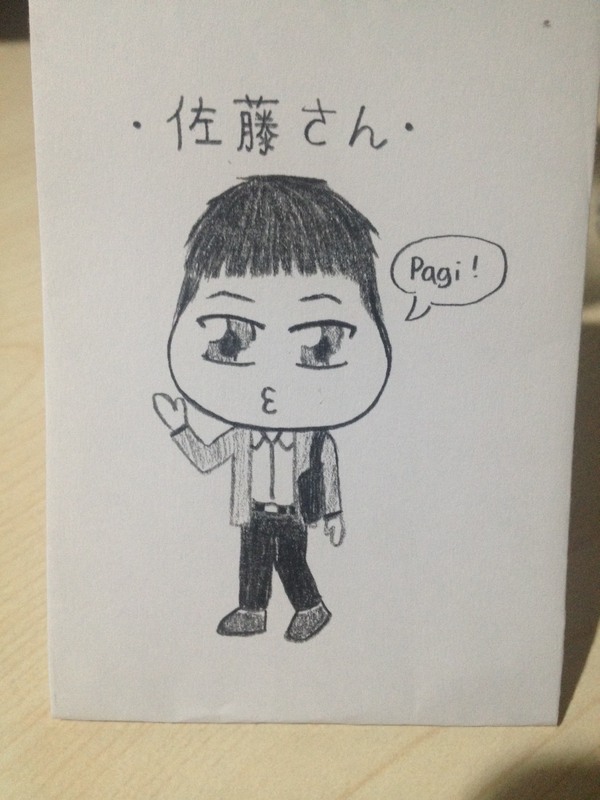 If you have chance to join viewing, just having fun and do not forget to keep good manners! How was this post about cherry blossom viewing?